Gunmen have attacked a farmhouse belonging to the acting chairman of the Economic and Financial Crimes Commission (EFCC), Mr. Ibrahim Magu. The gunmen invaded the bungalow on Tuesday night, killing one of the guards, Sergeant Musa Haruna. Haruna’s remains have been buried in Mararaba, Nasarawa State. It was learnt that the gunmen stormed the farmhouse in Karshi in the Federal Capital Territory (FCT) at about 10pm and exchanged fire with the policemen on sentry. Sergeant Haruna was hit and he died instantly. 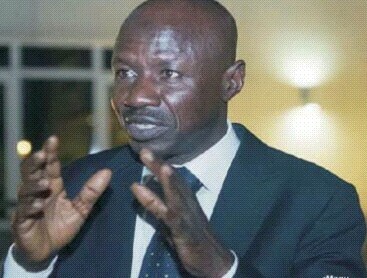 The EFCC said on the attack yesterday: “The commission confirms an attack on the property of the acting Chairman of the Commission, Ibrahim Magu, which unfortunately resulted in the death of a security official. “The property, a farmhouse located in Karshi, a suburb of Abuja, was attacked by unknown gunmen at about 10pm on December 12, 2017. “The unidentified men murdered a police sergeant on duty. The incident was the second such attack on the same farmhouse. The statement was signed by Head of Media and Publicity, Mr. Wilson Uwujaren. It was learnt that the gunmen also stormed the place with a digger and cudgels. They tried to break into the cess pit after killing the policeman. “They did not spare sacks of grains in the farmhouse during the invasion as if they were after a target,” a source said. 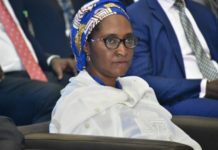 The source, who spoke in confidence, added: “There had been futile efforts by some elements to dump cash in the cess pit at the farmhouse in order to implicate Magu. “When the same elements invaded the house a few months ago, the police posted some of their men to provide adequate security there. “We thought the sentry service was enough to ward off any aggression but the elements have persisted. They must be up to mischief. The police said security had been tightened around Magu and his family. 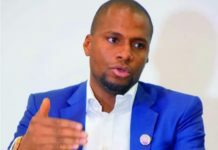 The source said: “While the police are already investigating the incident, a tighter security ring has been woven around Magu and his family members. The likelihood of an exposure to attack made the government to ask Magu to relocate from Karu suburb to Maitama District. “It has been tough for the acting EFCC chairman who has had to keep his schedule and movement to his chest. So, security has been beefed up in EFCC, Magu’s home and for those on special assignments. There was also some shooting in front of one of the EFCC’s offices in Abuja. The last 10 months have been tough for Magu because of his refusal to bow to pressure from some high-profile suspects and politically exposed persons (PEPs). Some suspected elements have also been to Magu’s family house in Maiduguri to harass and threaten his aged mother. This latest attack came barely 48 hours after Magu said the anti-corruption war would be a do-or-die affair.